one happy little crafter: Ribbon and Rubber with the Cuties! we have a whole lot more Inspiration from some of the DT, so why not hop on over for a visit! Quite simply, we want to see the cutest rubber (polymer also acceptable) stamps used with your prettiest ribbons. who are offering a voucher to spend in their wonderful online store - imagine how great that would be! So, as I mentioned earlier, we had another weekend away in the caravan, bit of a mixed bag with the weather, but was still able to enjoy a couple of drives out in the lovely Kent countryside......living in a busy town it is so easy to forget that such beautiful scenery, and charming little villages are just a short drive away and when the sun started shining on Saturday we decided to visit a little spot that we found on our last weekend away. Hothfield is a little village just outside of Ashford and is home to the most wonderful Heathland Nature Reserve. 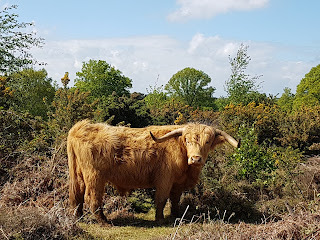 Obviously there is an abundance of plant life, tree's, birds that sort of thing which are wonderful enough, but there are also ponies roaming wild and some cattle too including this absolute beauty that we met up with on our walk. Having seen plenty of Highland cattle on our various trips to Scotland, but never this close up....so I feel incredibly privileged. Anyway, its back to normal life and work today, so I will say cheerio for now! Sooo cute! Fabulous card Lisa. Megan bought you a brill Mother's Day gift, would you send her to my house please :). Beautifully coloured as always to match the pretty paper. Love the sentiment and the font you've used. 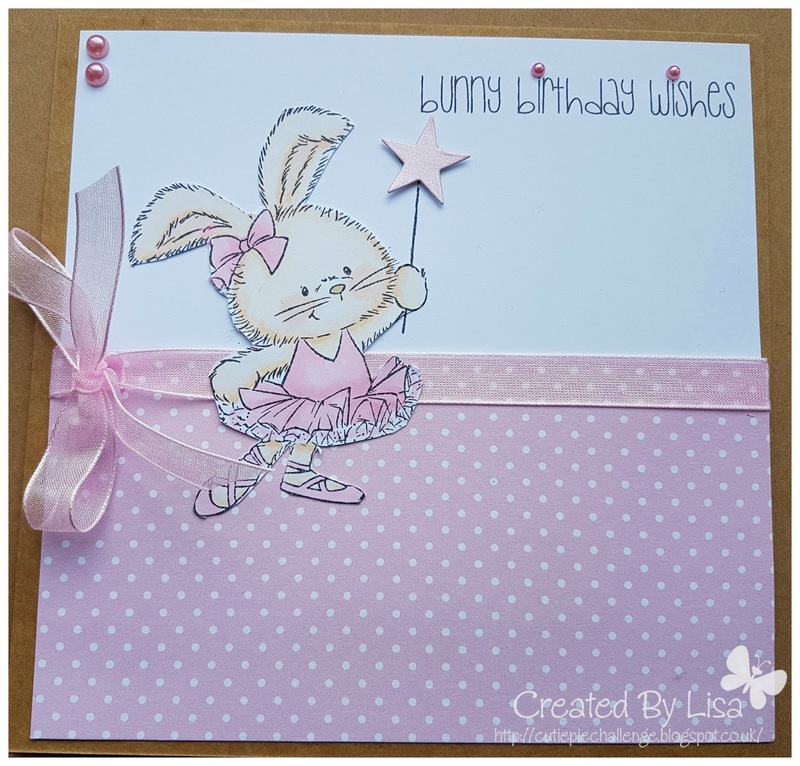 Gorgeous card Lisa, super cute bunny... pleased you had a lovely weekend away. This is a gorgeous card,the image is so cute,so delicate.Thanks for sharing your card with us here at I Love Promarkers,Lyn DT. 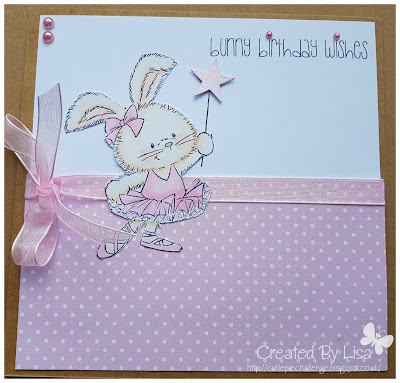 A Beautiful card, love the bunny fussy cut on top of the ribbon. Your photo is amazing, I can see why you think it is a privilege to see it up close, I would feel the same. This is SO sweet, Lisa! Love the soft coloring you did! Thanks so much for playing Simon Says Stamp Wednesday “Going Dotty” Challenge! Beautiful colors and design. Well done! Sweet card. Thanks for sharing at Addicted to CAS! Such a sweet bunny and I love your pink and white polka dots! So glad you played along with us this week at Addicted to CAS!